I just released my new weekend tote bag! 110 ₪ / $30. 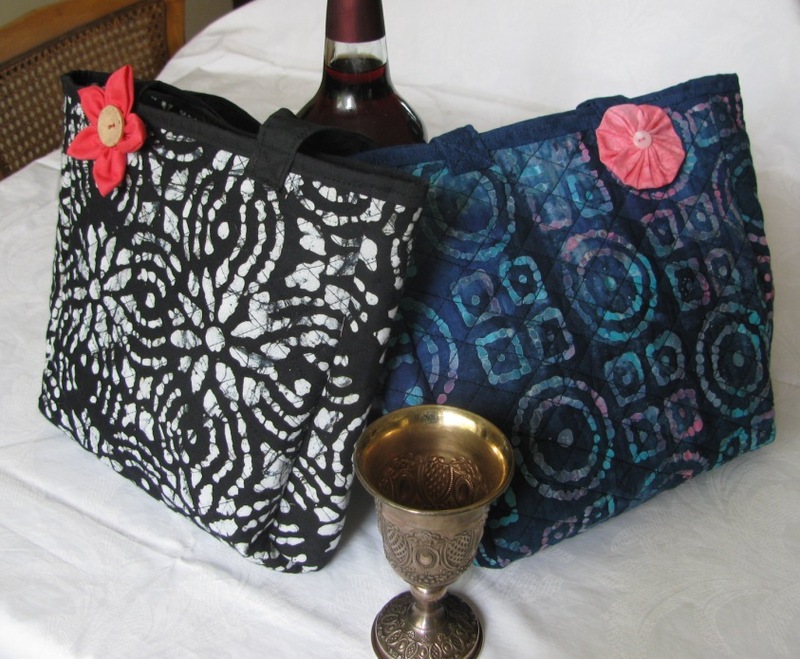 This lovely, handy, multi-purpose tote is made of vibrant batik quilted fabric and is a great gift idea for general use or for bringing to synagogue. 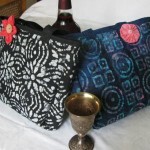 It’s great for taking a few items and still looking fashionable without being loaded down. Tissues, keys, sunglasses and a book. What more do you need? The bag has a cute flower that adds to its beauty. It’s light; it’s cute and it’s washable. Machine-pieced and machine-quilted 100% cotton fabric. Handles are filled with batting for added comfort.